The Buster Brown Blue Ribbon Shoe Factor is located at 1516 N. Jefferson Avenue. 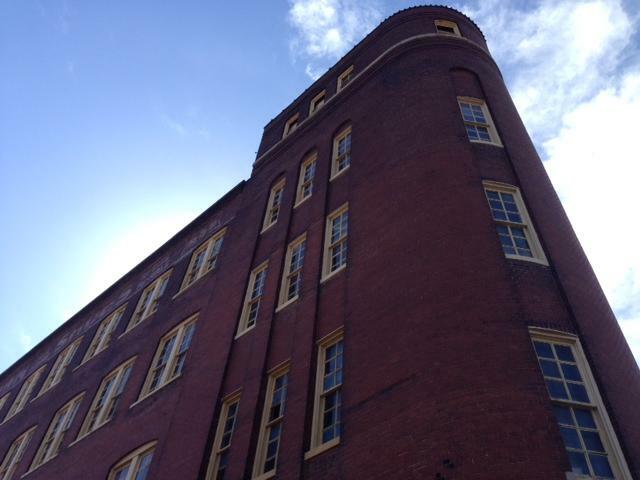 The Buster Brown Blue Ribbon Shoe Factory in north St. Louis is worth about $810,000. That’s the figure that a three-member court-appointed commission determined in a filing on Wednesday. The building, which is on the National Register of Historic Places, is within the proposed footprint of a new National Geospatial-Intelligence Agency building and among the properties facing eminent domain proceedings by the city. 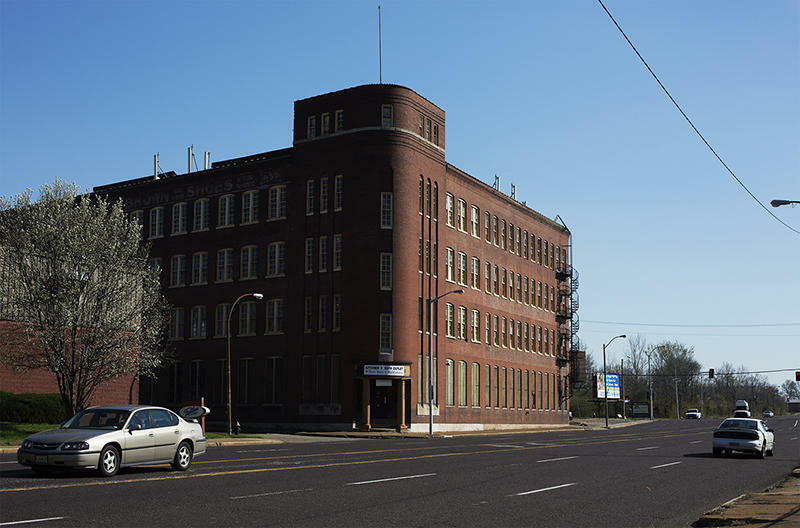 As reported by St. Louis Public Radio, owner Jim Osher wants to pick up the 85,000 square foot factory, move it across the street and turn it into a hotel. He has said that will cost about $5 million and was asking the city to pay $12 million for the building. "It’s a very, very large, unique property that has a lot of historic value," Osher said. While the city has scoffed at Osher’s asking price, back in 2011 developer Paul McKee agreed to pay $3.75 million for the building. While he made a down payment, the developer failed to keep up on payments, and Osher took the building back last year. Osher said he wanted to have an opportunity to show the commissioners the building and explain his plans. He didn’t have a chance to do that or make the May 4 hearing, after breaking his foot while in Florida. Osher’s recently-hired attorney asked that the hearing be delayed, but the commissioners said they could not wait until May 19 as requested because it was the judge’s deadline for their report. Now Osher said they’re asking the judge for a chance to be heard. "I thought the process included the commissioners viewing the building with the owner, so I’m not sure where we’re at at this point," he said. Either Osher or the city can appeal the commission’s decision, which would then put the value of the property before a jury. St. Louis Development Corporation executive director Otis Williams said Thursday his staff is going through the report, along with the city’s attorneys. He said they have 30 days to decide whether they’ll file any exceptions. "We’re in the process of just reviewing the report. We have not made any decisions," he said. The commissioners’ report also determined the fair market value for 16 other properties included in the city’s eminent domain lawsuit. They filed a separate report on 19 other properties last week. Altogether, the reports determine city should pay a total of $3.4 million to property owners included in the eminent domain suit. Williams said the amount was close to what they had expected. "Not a lot of surprises there," he said. "We believe the commissioners acted very judiciously, and we’ll take a look at the report and make a decision whether we’ll pay into court or appeal." All of this depends on whether the NGA chooses the site for its new $1.75 billion facility. NGA director Robert Cardillo indicated it was the preferred alternative, but a final decision won’t come until June. The city of St. Louis will likely pay more than $1.6 million to compensate property owners who faced eminent domain to make way for the National Geospatial-Intelligence Agency’s new facility. If a federal spy agency chooses to relocate to north St. Louis as expected, residents in the way will have to move quickly. The National Geospatial-Intelligence Agency gave St. Louis the initial nod last week, but the spy agency’s final decision will come May 30. 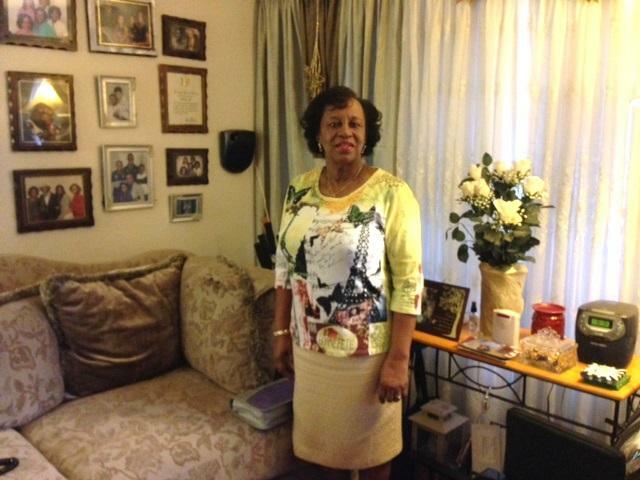 St. Louis Development Corporation executive director Otis Williams said a month after that, the city expects some of the 200 residents living in the new site's footprint to begin moving out.